So... I haven't blogged in a while. What's up with that?! 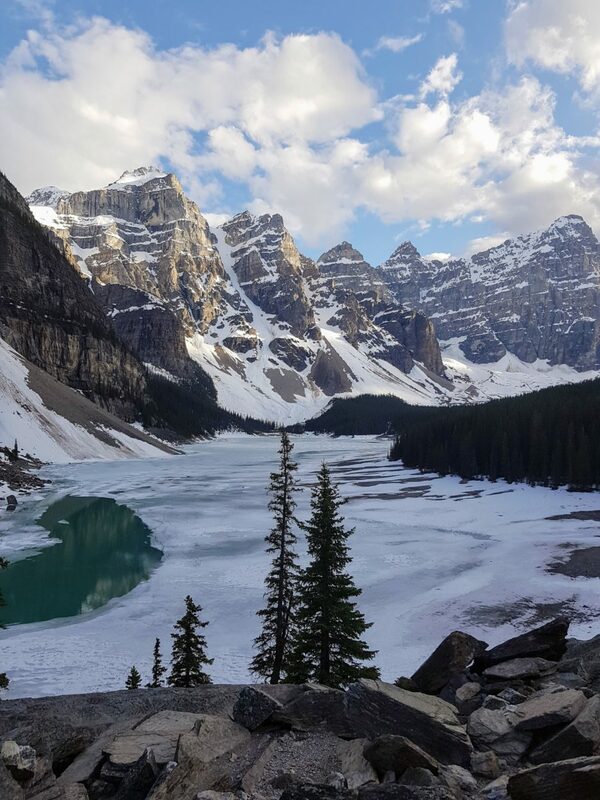 Sorry to any dedicated readers out there, pining for a new update from beautiful Banff National Park! 2018 has been a busy old year. Getting new contracts in place, running tours, getting out on as many hikes, bike rides and ski tours as possible... and any spare time has gone into revamping the website so I'm ready to launch phase 2 of GuideMe. "What's phase 2"? I hear you ask. Well, I'm going to keep that under wraps for just a couple more short weeks as we work on tweaking the site, getting out the bugs and filling it with new and exciting adventures! Sign up to the mailing list here to get a sneak preview ahead of the main launch! GOPR1295 from Anna Powell on Vimeo. Ski touring this season was excellent: from short trips in the local area to week long excursions deep in the mountains. We spent some time with Confessions of a Ski Bum who was out scoping lines and taking photos for the latest guide book for the area. We're really excited to get our hands on the finished product coming out soon! When we weren't skiing, we were talking about skiing at some of the awesome workshops and discussions hosted by MTN Guiding each month. Developing the ski touring culture in this valley, these discussions provided valuable insight into what was going on with the snowpack this year in different parts of the park, and further afield. 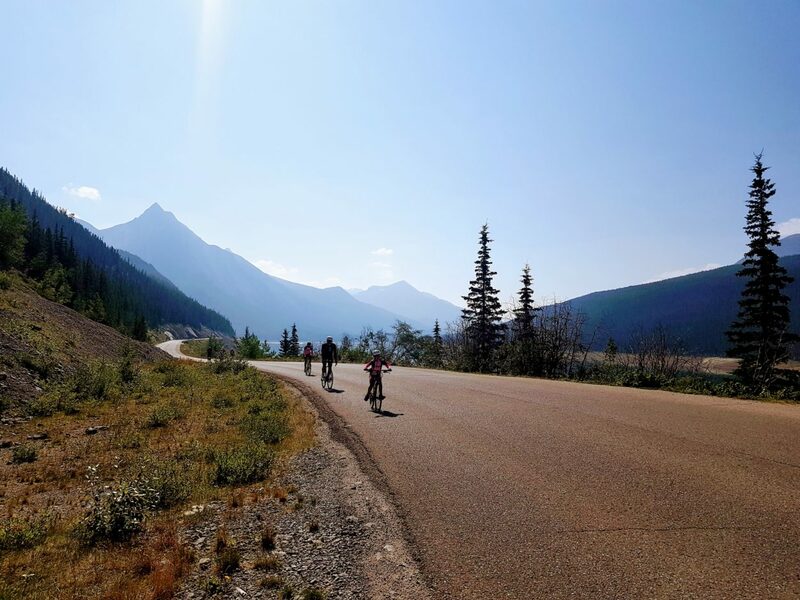 Springtime meant it was time to get the bikes back out; road biking out to Moraine Lake before the road opened to the public was a particular highlight! The road was in great shape, and we only had to share this incredible, iconic view with a handful of other people. I adore this quiet time between seasons, the "shoulder" season as it is known. The ski season is finishing, so there is still snow high up in the mountains. But, in the valley bottoms, the world is thawing out and coming to life. 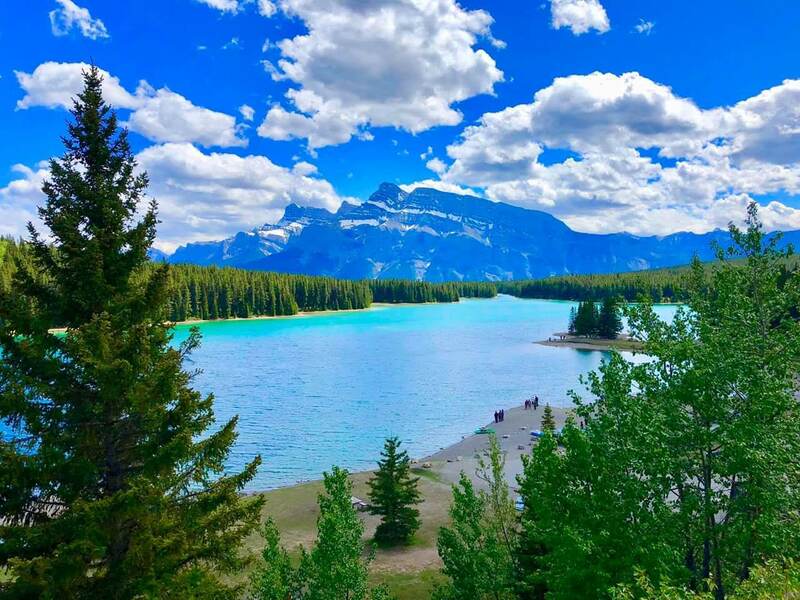 Bow Valley locals, the majority of whom choose to call this place home due to the phenomenal amount of cool activities you can do in a picturesque setting, are out making the most of it. My friend Amy and I completed our "activity day" which we have been planning out for years now (and somehow never quite getting around to): Skiing in the morning, and biking in the evening. Sure, we had a small amount of snow to contend with on the bike ride, but we had a blast! 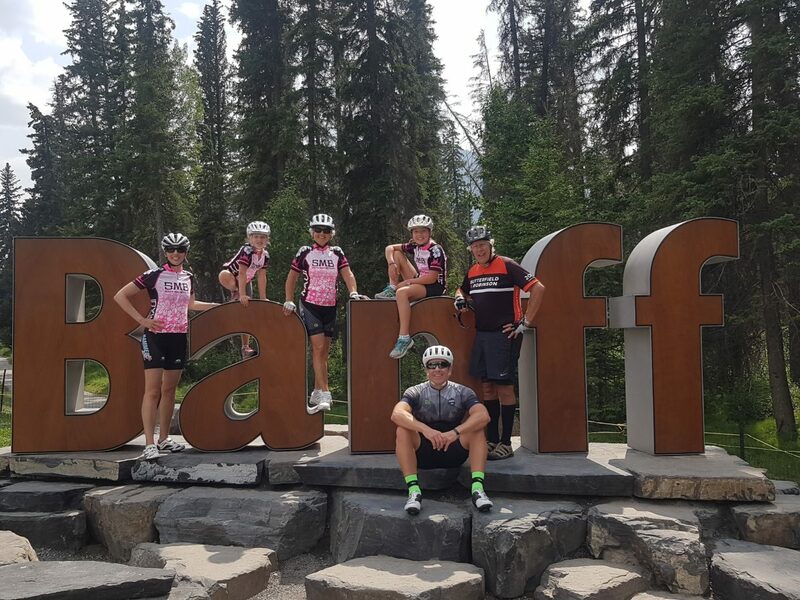 Our two activities pale in comparison to what some achieve at this time of year: skiing, climbing, hiking, biking, paddling (whether on canoe, kayak or paddle board) are all viable options at this time of year. As the trails dried out, the mountain bikes came out of storage and the skis went back in. The fresh air and sound of birdsong began to fill the air, heralding the end of another winter and bringing the excitement of another incoming summer season. 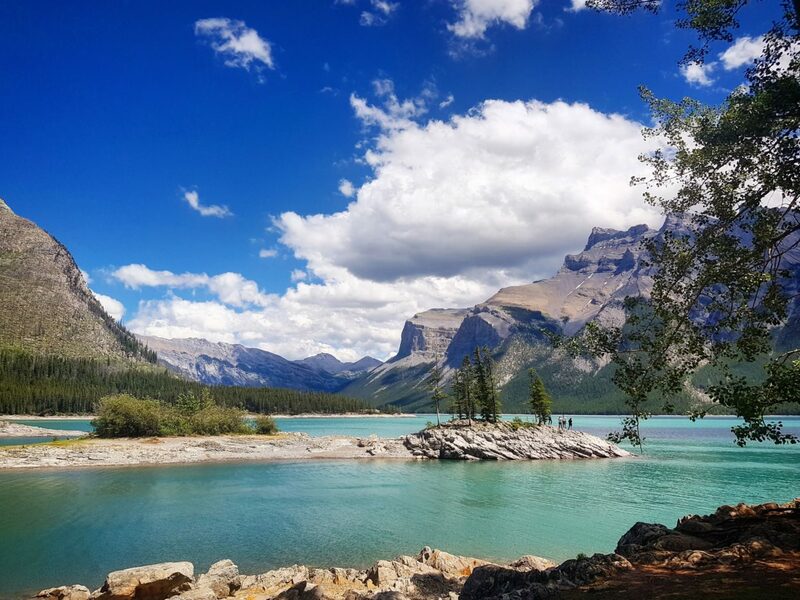 My friend, Jess, took these photos from Two Jack lake a month apart. On the left, Two Jack in July on a stunning, typical Rocky Mountain day. On the right, Two Jack this week, as we suffer from the smoke being blown over from the devastating fires in British Columbia. 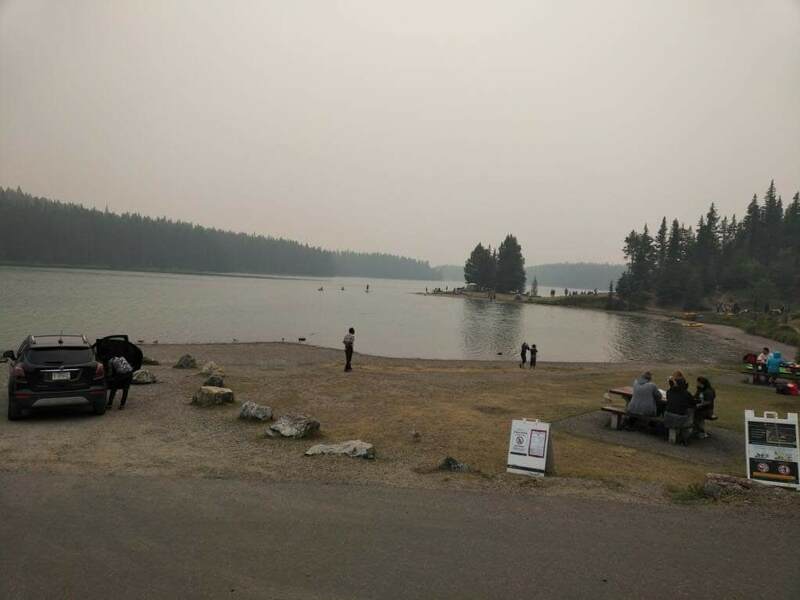 The difference is striking, and whilst the smoke is irritating and dangerous to those with respiratory issues, what we have to deal with is nothing compared to the awful scenes in B.C. We're hoping for rain in the not-too-distant future to clear some of this haze out, I miss the mountains! In between all this adventuring and running tours, we've also been busy working on the next step of GuideMe, and an all-new, revamped website which will be launching in a few short weeks. 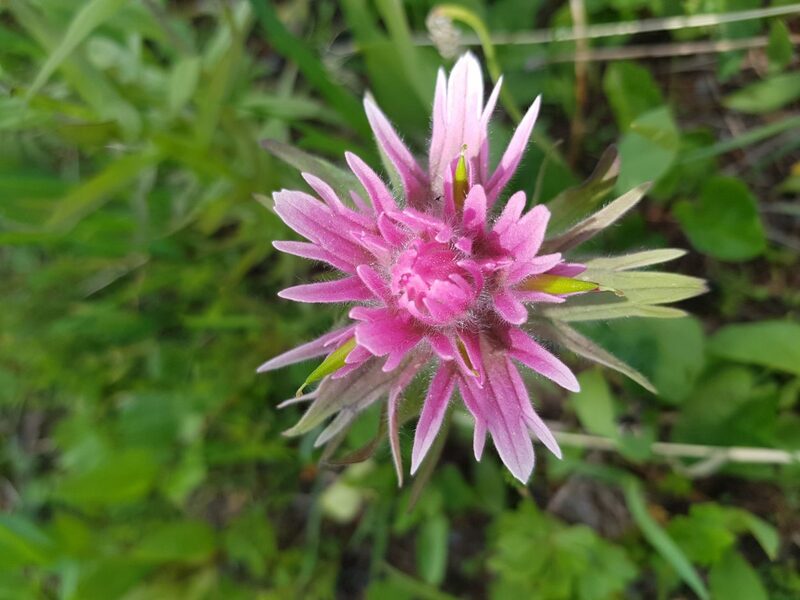 Stay tuned for more from the Bow Valley!